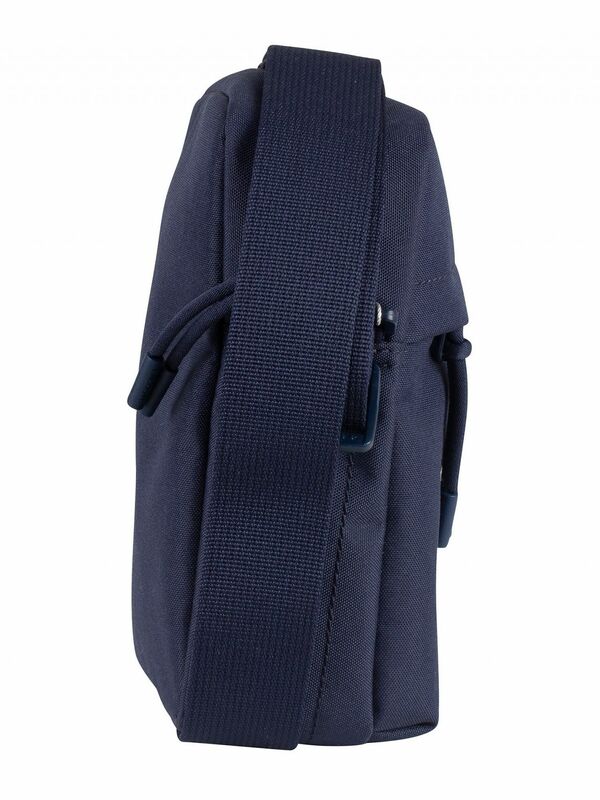 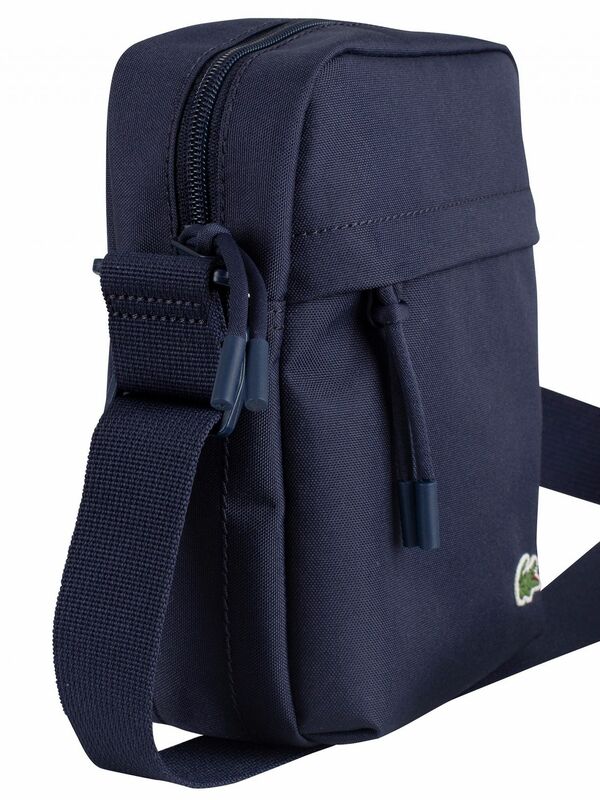 The Lacoste Vertical Camera Bag from Lacoste comes in Peacoat colour, featuring an open inside compartment and an inside zip pocket with a rubber branded label. 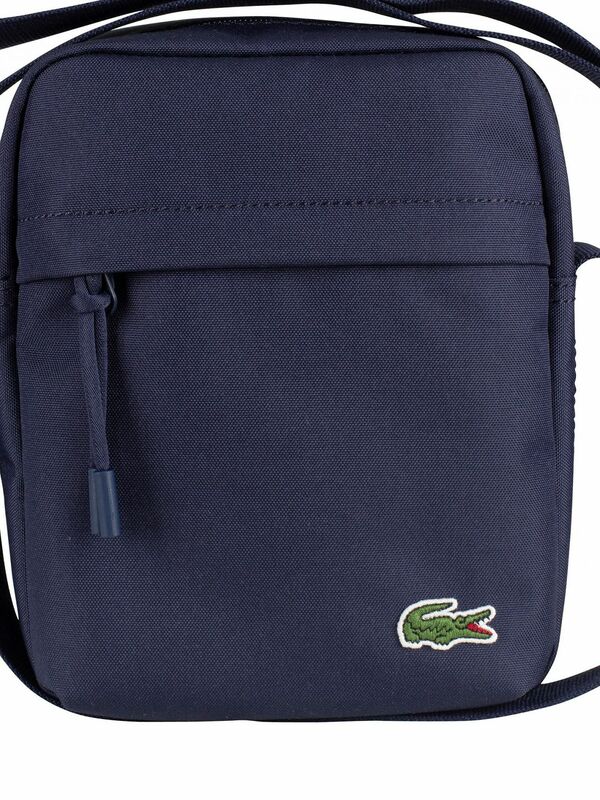 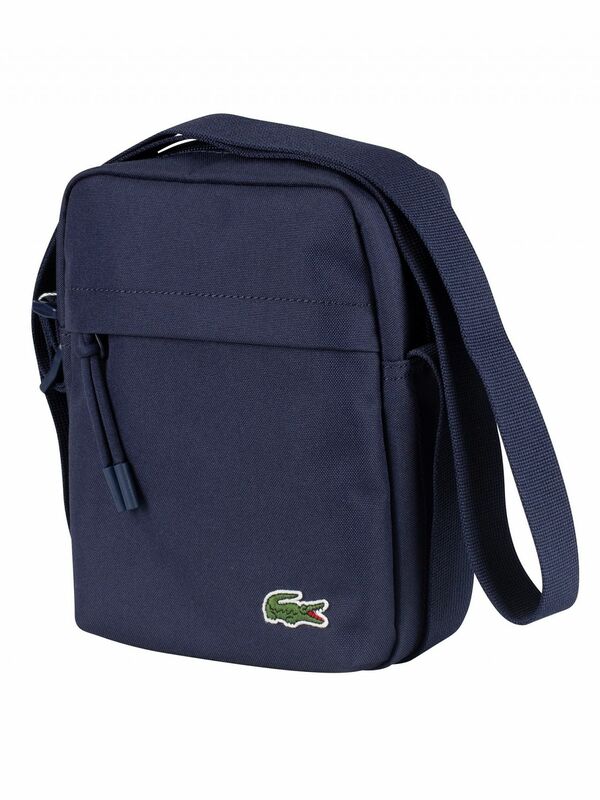 The bag also sports an adjustable strap and an embroidered croc logo on front zip pocket. 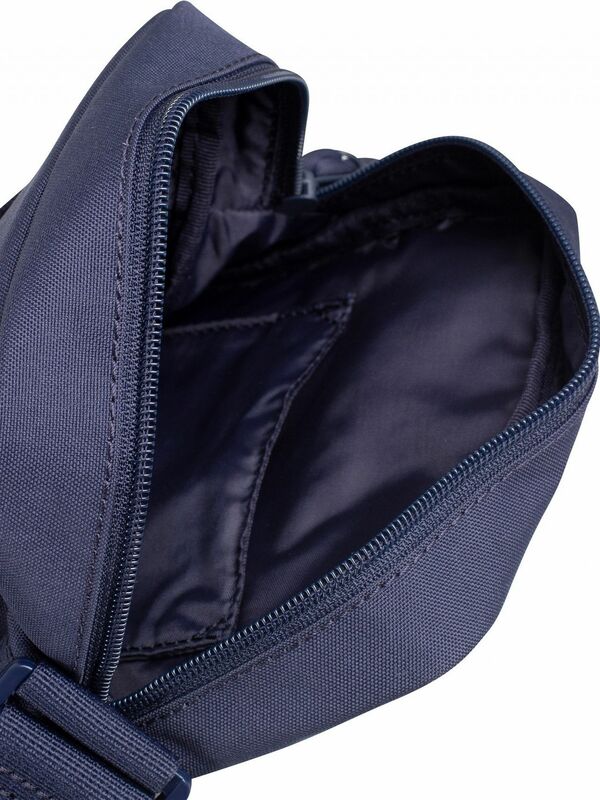 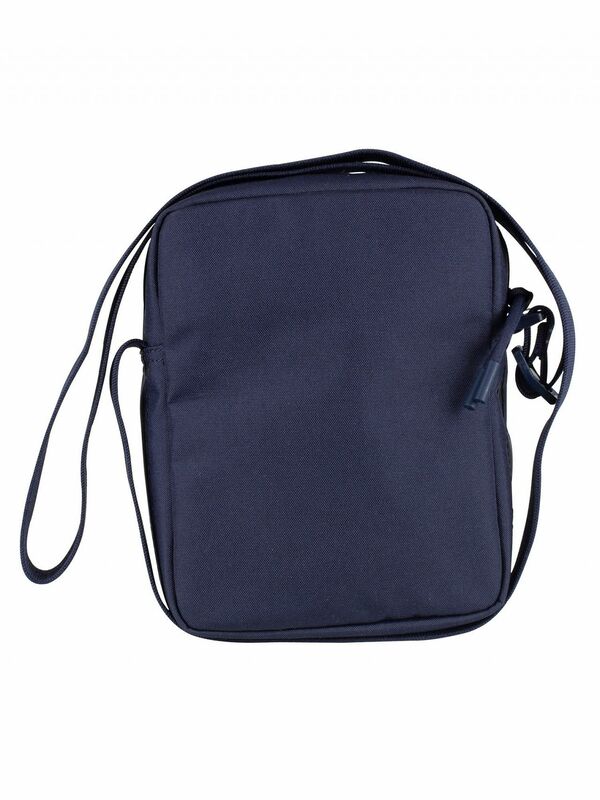 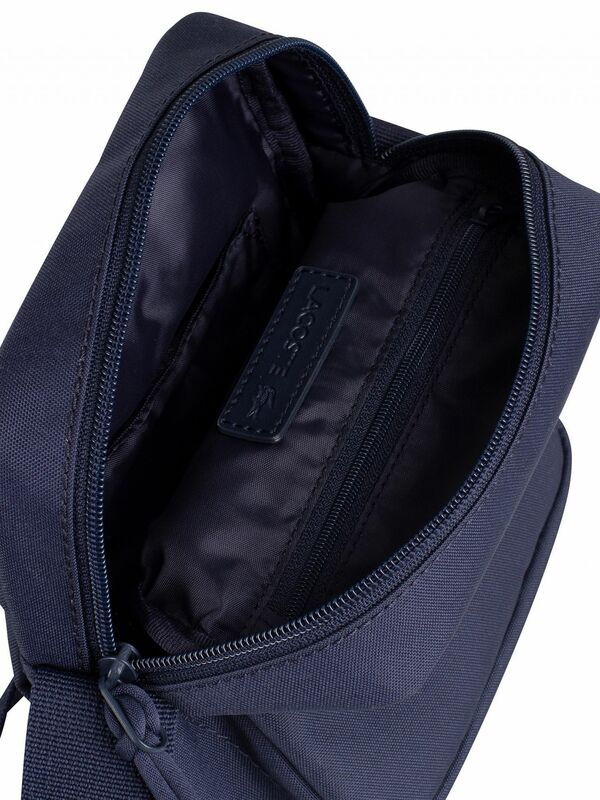 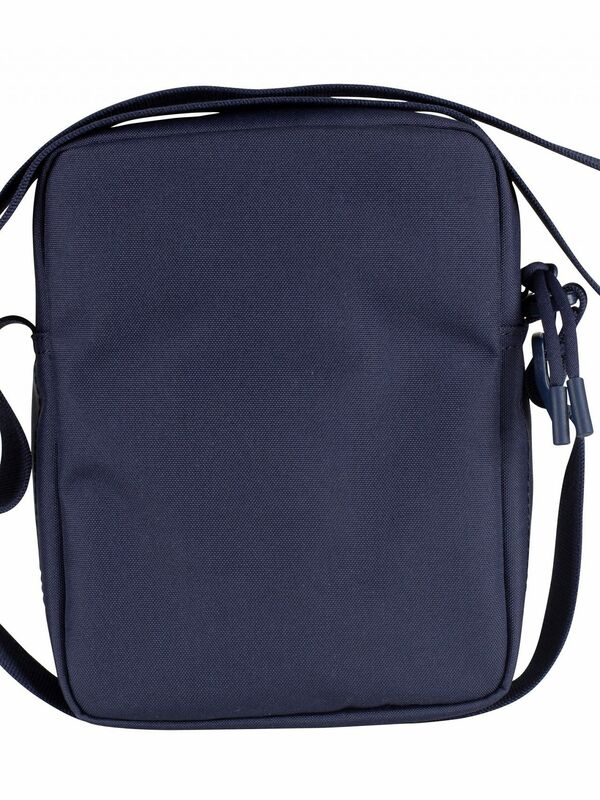 It has one exterior zip pocket and two interior pockets, including one zip pocket. 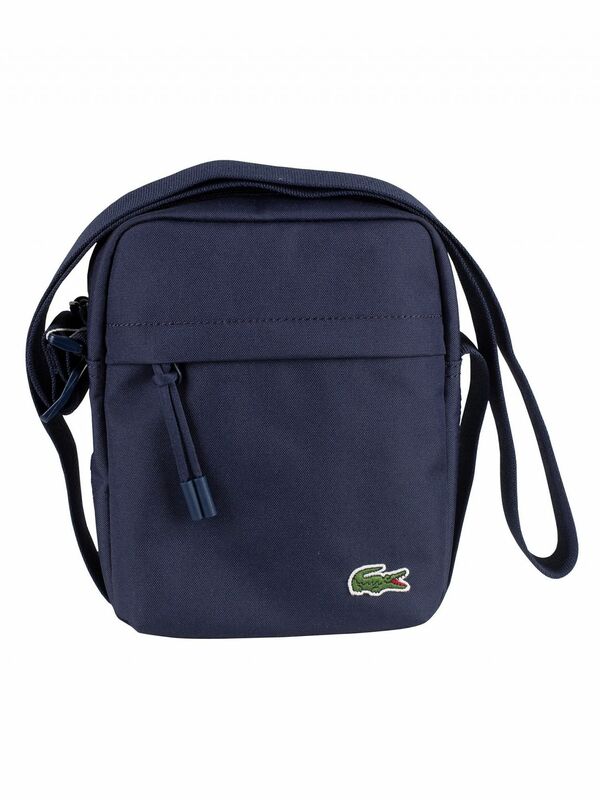 Sizing: 16cm x 21cm x 6.5cm.